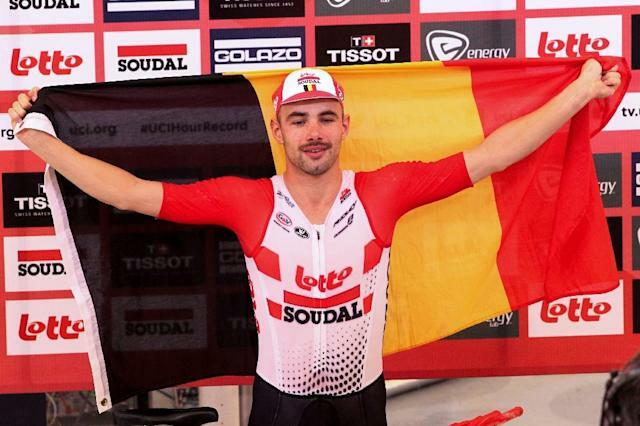 Aguascalientes (Mexico) (AFP) - Belgian cyclist Victor Campenaerts set a new one-hour world record for distance covered on a track on Tuesday with 55.089km, edging past the previous record set by British great Bradley Wiggins. "I worked long and hard for this and the team were right behind me and now I paid them back." Wiggins set the mark of 54.526km in 2015 and there have been several failed attempts to break it since, and he congratulated Campenaerts on his achievement.